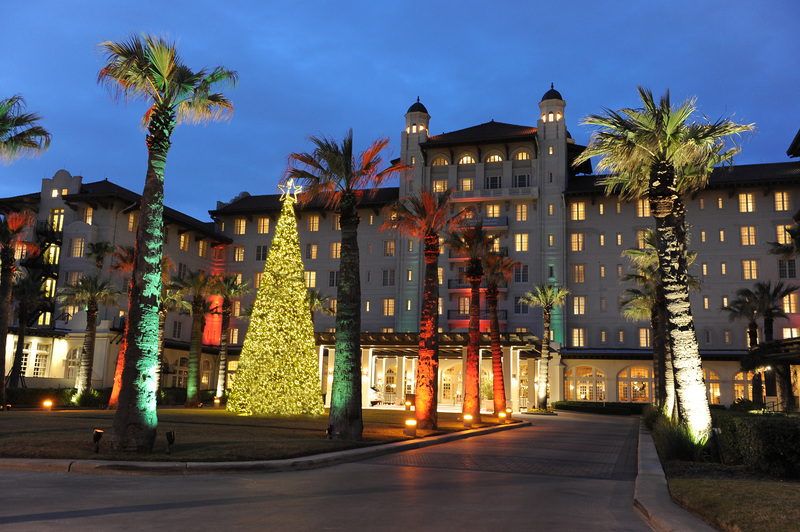 Performances from The Nutcracker, a hand bell choir, and old-fashioned Christmas carolers will entertain guests at this year’s Galveston Holiday Lighting Celebration at Hotel Galvez & Spa®, A Wyndham Grand® Hotel, on Friday, Nov. 27, 2015. One of over 1,000 holiday events being held this year in Galveston, “The Winter Wonder Island” of Texas, the Holiday Lighting Celebration is an annual, free family event and marks the start of the official holiday season on the island. In conjunction with the event, Hotel Galvez & Spa is offering a Thanksgiving Getaway package starting at $279 per night that includes a guest room for two, Thanksgiving brunch for two and valet parking. The celebration begins at 6:00 p.m. with the arrival of Santa Claus via horse-drawn carriage, which signals the lighting of the hotel’s iconic 35-foot Christmas tree located on the front lawn, overlooking the Gulf of Mexico. Children are invited to have souvenir photos taken with Santa and will receive a small gift. 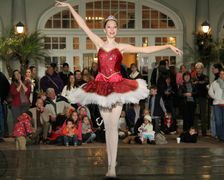 Galveston Ballet and other local talent will perform for guests. Adding to the festivities, Dickens on The Strand’s Queen Victoria will make a special appearance along with other special guests. To honor the true spirit of the evening, Hotel Galvez & Spa will collect monetary donations for the Salvation Army to help make the holidays brighter for all members of the community. The new “Ice Land” exhibit will feature 20 large ice sculptures in a 25,000 sq. ft. structure while Moody Gardens Festival of Lights features a mile-long trail of holiday lights, ice skating and snow tubing on the Arctic Ice Slide. Runners can celebrate the holidays with this certified half marathon course starting at Moody Gardens with a double run through the complex and surrounding area. Imagine the Victorian London of Charles Dickens transported into Galveston’s historic Strand District. This Victorian-themed holiday festival offers family entertainment, holiday food and drink, crafts, holiday décor and other gift items. Children will have the opportunity to take a train ride with Santa Claus. Galveston’s historic downtown will sparkle with fun as Saengerfest Park is transformed into a holiday spectacle. Visitors to downtown will be able to enjoy holiday music, visits with Santa and more. Santa Claus will make a special appearance at Saengerfest Park to visit with children and take photos. An estimated 4,000 “Santas” will race in the Santa Hustle Half Marathon and 5K donning their Santa beards and shirts. Throughout the holiday season, Hotel Galvez will be offering a Galveston Holiday Getaway Package. The package is available from Nov. 14 through Dec. 30, 2015 with rates starting at $189 per night on weekdays and $249 per night on weekends. This package includes a $50 food and beverage credit and complimentary valet. See special offers at www.HotelGalvez.com to book. Part of Wyndham Hotel Group, Wyndham Hotels and Resorts, LLC, offers upscale hotel and resort accommodations at more than 200 properties throughout the United States, Canada, Mexico, Central and South America, the Caribbean, Europe, the Middle East and China. Most Wyndham® hotels are franchised by Wyndham Hotels and Resorts, LLC or its affiliate. Certain Wyndham hotels are owned or managed by an affiliate of Wyndham Hotel Group, LLC. Additional information and reservations for all Wyndham hotels are available by visiting www.wyndham.com. Travelers have the opportunity to earn and redeem points through Wyndham Rewards®, the brand’s guest loyalty program, which can be joined for free at www.wyndhamrewards.com. Wyndham Grand® Hotels and Resorts are an ensemble of distinguished hotels within the Wyndham Hotels and Resorts® brand that represent one-of-a-kind experiences in key destinations with refined accommodation, attentive service and relaxed surroundings. Wyndham Hotel Group is the world’s largest hotel company based on number of hotels, encompassing approximately 7,700 properties and over 668,500 rooms in 71 countries. Additional information is available at www.wyndhamworldwide.com. For more information about hotel franchising opportunities visit www.whgdevelopment.com. 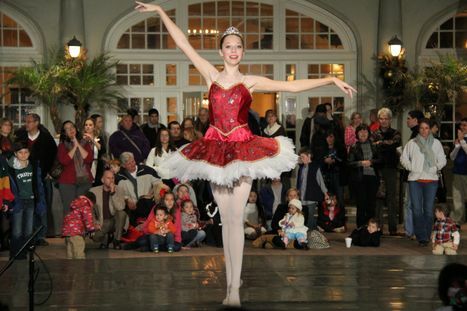 The Galveston Ballet performs annually during the Galveston Holiday Lighting Celebration at Hotel Galvez & Spa. Hotel Galvez hosts an annual holiday lighting celebration on the Friday after Thanksgiving.